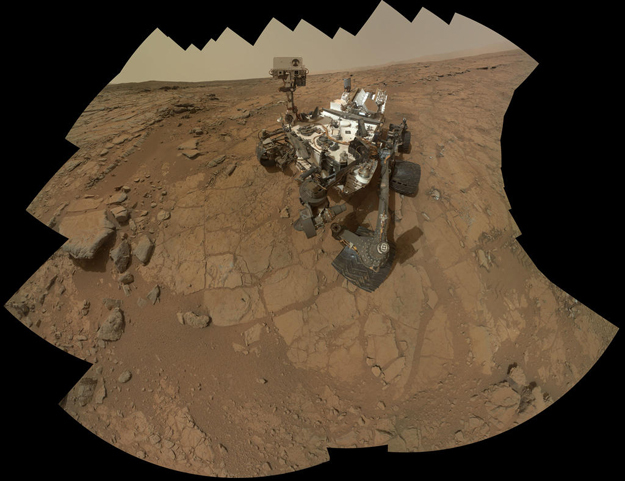 New Curiosity self portrait especially shows the alien terrain of Yellowknife Bay on Mars now 216 million mi. from Earth. 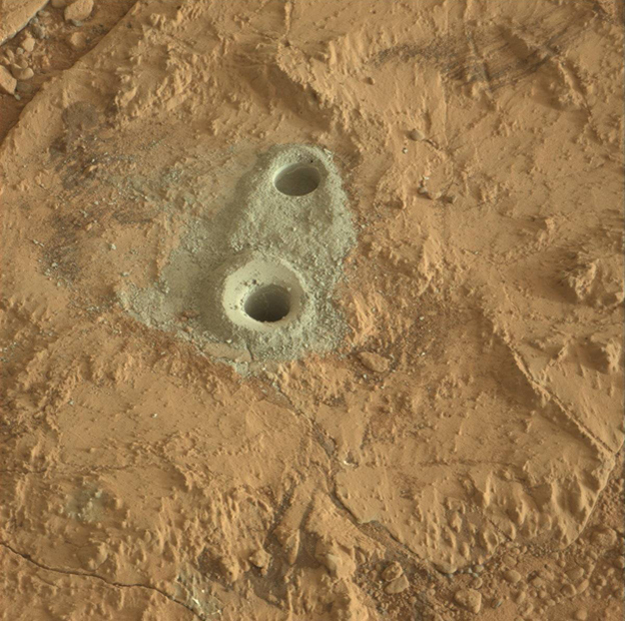 Rover Mastcam imaged the primary and mini test drill holes on Mars and the talus with a greenish gray tint. 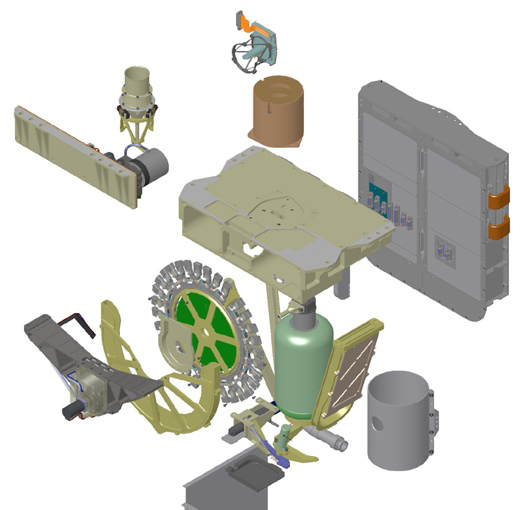 Graphic shows the complexity of the CHIMRA device on instrument turret used to robotically filter and flow soil along proper paths as the arm tilts the unit to align specific areas of the CHIMRA with the Martian gravity vector. The $2.5 billion Mars Science Laboratory (MSL) rover is beginning detailed analysis of the first subsurface rock sample acquired on another planet, keeping researchers on “pins and needles” about whether Curiosity has struck Martian paydirt 216 million miles (348 million km) from Earth. Preliminary examination of the greenish, mudstone-like sample is peaking interest and debate about whether the flat rocks under Curiosity’s wheels could be a type that perhaps preserved organic carbon relevant to potential past life on Mars, JPL geologist Robert C. Anderson told CuriousMars. The analysis is by far the most significant scientific investigation carried out by the rover since its landing last August. 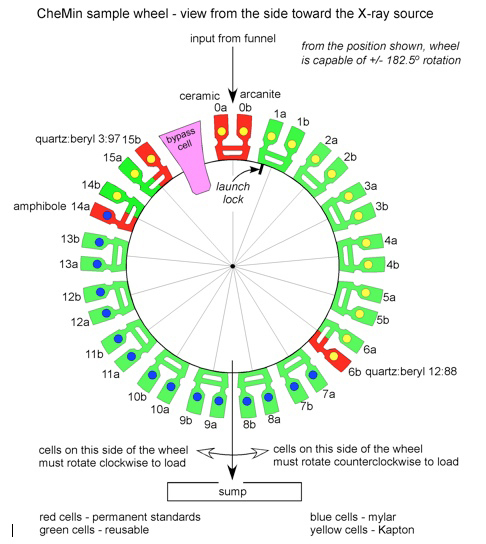 “Everybody is holding their breath to see what the sample is,” he said. 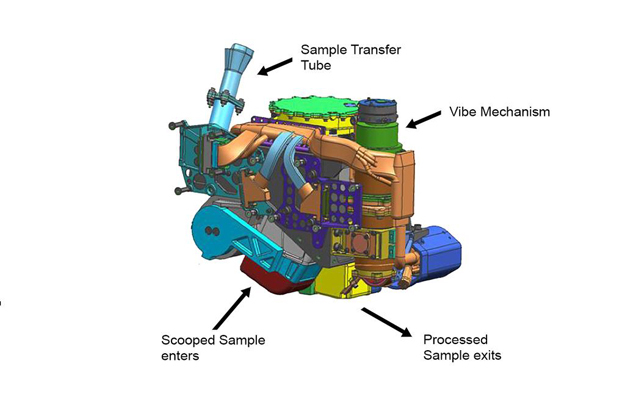 The first instrument to process a portion of the sample will be the NASA Ames Research Center’s CheMin Chemistry and Mineralogy instrument, which will identify and measure the abundances of various minerals in the rock powder. “This stuff we drilled is new material to us,” said David Blake, CheMin Principal Investigator. “We are all sitting on pins and needles about what it is,” he told CuriousMars. Read more: CuriousMars: Scientists disagree on timing of departure from drilling site – SpaceRef.